I am looking for the Bachmann Billboard Collector's Series Valvoline 125th Years train set. My mother worked at Ashland and bought the special edition train and we set it up around our Christmas tree every year! The train made such wonderful memories for my sister and I as children but unfortunately it was taken from us. Now having grandchildren my mom is really missing the old train. If anyone knows where I could find one please let me know! I would love to surprise her for Christmas with this train! The Valvoline set is a loco, tender, tank car and bobber caboose. You could piece a set together on a well known on-line auction site right now. Three of those four pieces are duplicated in the Thunderbolt set. Add the Valvoline tank car and you're good to go. Bonus: a Victor Gold Mining Co. yellow gondola. Thanks so much! I will do that! I didn't know what each individual car was called so thank you for that! You have helped me tremendously! The set and tank car show up on eBay now and then. This link will give you an idea of what they sold for (if the price is green, that was the selling price, black is no sale). Here's one that is way over priced. Around a $100.00 would be more in line. I don't think it'll sell at this and they may relist it at a lower price. Good luck and have a Merry Christmas. 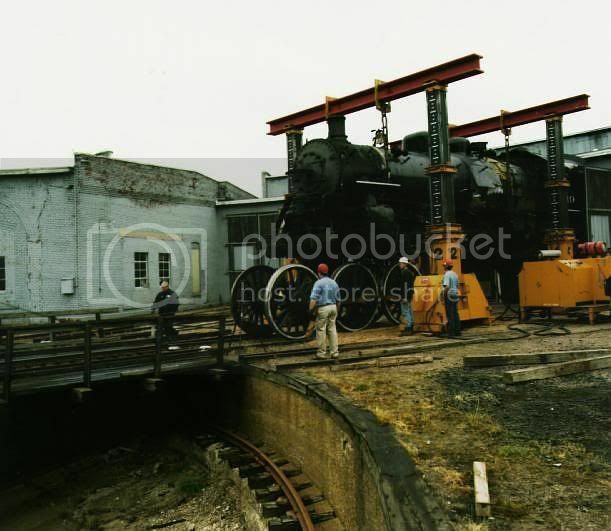 If you scroll down in the eBay listing the engine is described as as an 0-4-0, not the 4-6-0 in the pictures he shows. Must not know much about trains. Did you find the Ashland edition 125th valvoline train set? I have one and would be willing to sell it It is the G scale, 4-6-0, still in the box. I found it at a auction, all is working and there, except for the tracks. Let me know if still interested and I can post a pic. If your still looking, here's the tank car.